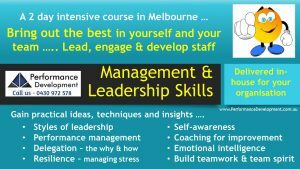 This highly engaging and practical two day Leadership training course in Melbourne will help participants to develop greater confidence in their ability to lead and deliver great results with your team. It is delivered in-house. The course is ideal if you are new to a team leader or management role – and wanting a deeper insight into what it takes to get the best out of yourself and the members of your team. You will gain essential tools and ideas to more confidently perform your leadership role in the workplace and win the respect of the people you lead. 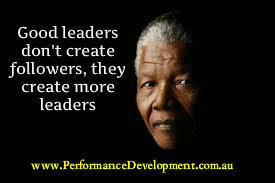 Phone 0430972578 if you need more information to help you decide whether this is the right training for your organisation. Leadership is less about your title and more about how you carry yourself on a daily basis – especially when the “heat is on” and things are not working out. 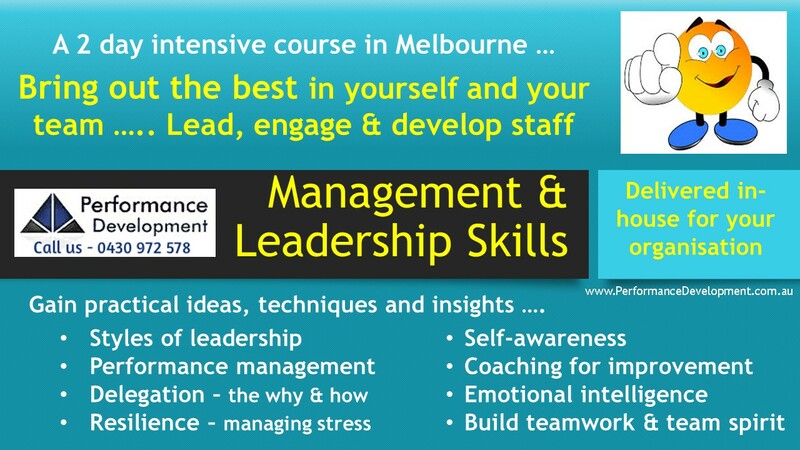 So if you are a new manager, supervisor or team leader, in this course you will gain plenty of tips and techniques to help you develop your people management skills …. You manage systems, processes and budgets … But leadership is about people and the quality of the relationships that you build with them in the workplace. Yes, you must be able to deliver good business outcomes – but this must be balanced with a concern for the welfare and well-being of the people you lead. This is one of the keys to building a sustainable business – achieving the right balance between a focus on both results and relationships. Here’s what one course participant said about what they gained from our recent course …. Our Leadership Training course can also be delivered in-house for your organisation and content can be further tailored to the experience levels of your staff …. Brian Carroll is a highly engaging presenter with more than twenty years of experience in delivering leadership training. The course has a practical edge to it, plenty of interaction and provides opportunities for skills practice within an encouraging environment.